Replay value is one of the most import aspects of creating a compelling video game experience that keeps players coming back again and again. 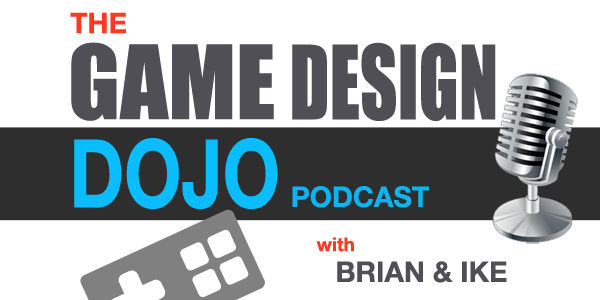 Brian and Ike explore three ways to pump up your game’s replay value for ultimate publishing success. A great outlet for video game developers are local meet ups. Meet ups are a great place to find somebody that can help you with your project or you can help out with theirs. As well as talk about challenges in your game development and gather feedback. With free Wifi and laptops you can meet up at a Starbucks or something. It’s a really cool way to meet other developers with similar experiences and skills you might be looking for. Help support Ike’s game Barnyard Bubble HD. It’s a fun game geared toward one year olds to help them say animal names by popping bubbles and listening to the animal noises. If you have a little one, check it out because they will LOVE it! Replay value is one of the most important aspects of creating a compelling video game experience that keeps players coming back again and again. You might have a game that’s fun to play, but it there’s not a strong sense of replay value then they’ll only play it once and never play it again. That’s an issue. Are there alternate ways to play your game? Is there a desire for mastery? Is there a strong sense of progress? A holy grail for game developers is to have a game the player doesn’t want to set down and they want to keep going. All the best games have amazing replay value. In general, the player is given choices during gameplay giving the game alternate directions it can go. A great example is the game of Chess which has amazing replay value. Basically when you can come back to a game and it will be a different experience every time you play, you have replay value. Social Media is a way people can share what they’ve discovered during their gameplay and see what others are doing to bring alternate ways that you may not have thought of or unveiled yourself. Those are all big budget games, but what about a one action game with infinite amounts of ways to play? Any game that has a procedural or random level design can lend itself to that where the player can take a different path. The racing mechanic at it’s core has a conservative path that is obvious which will get you average to good results. To be great, you have to know where the shortcuts in the track are. Usually it’s high risk, high reward. Naturally, when you play a game you want to get better at it. We can’t think of a game that you don’t want to get better at. Even playing slot machines in a casino have people mastering it in their minds. The bottom line is people are always trying to get better at whatever game their playing. It’s one of the definitions of game, it’s something you can master. The best games have a strong sense of the ability to master the game. With fighting games for instance, you have to train to know and learn all the moves of your character. There is mastery of strategy and mastery of skill. Golf is an example that has both, part skill and part mental. The Olympics is a celebration of human mastery. With the winter Olympic games fresh in our minds, we can apply it to this concept. For video games make sure you can play your game over and over again and it has the ability for the player to really master it. And beyond that, think about how you can reward the player for mastering your game with tiers of rewards like a gold medal for instance. Include rewards and feedback into your game. However, if the gaps are too large I in the game for you to feel that progression of mastery, you won’t feel like you’re getting better at it and you want to avoid the player from plateauing too hard. The rewards have to keep progressing. The best competitions don’t happen all the time, which makes them special. An Olympic gold medal wouldn’t be as important if it happened every year. One strong desire of mastery is the competition and being able to demonstrate it publicly. In the Olympics the whole world is watching and that one moment makes it special. Competition is really important and it drives a lot of people. Having the desire to collect, to progress with levels, collecting things, unlocking features of the game. It doesn’t necessarily mean that you’re any better at the game so it’s different from mastery. Progress is the idea of growing through your actions in the game and getting better over time. Showing and saving progress is very important, like Minecraft for example. The game gives a sense of progress you’re building. It’s also a great feeling to know that you’re not wasting your time on something. You can share it with your friends and don’t have to start back at square one. A lot of the great games shows example of these 3 pillars – alternate ways to play, desire for mastery and progress. You don’t necessarily have to have all 3 but people will make them up and incorporate them. You definitely want to have replay value in your game and if you do it well, your game will be remembered.